See more objects with the color grey dimgrey darkolivegreen darkslategrey or see all the colors for this object. This is a Sampler. It is dated 1712 and we acquired it in 1981. 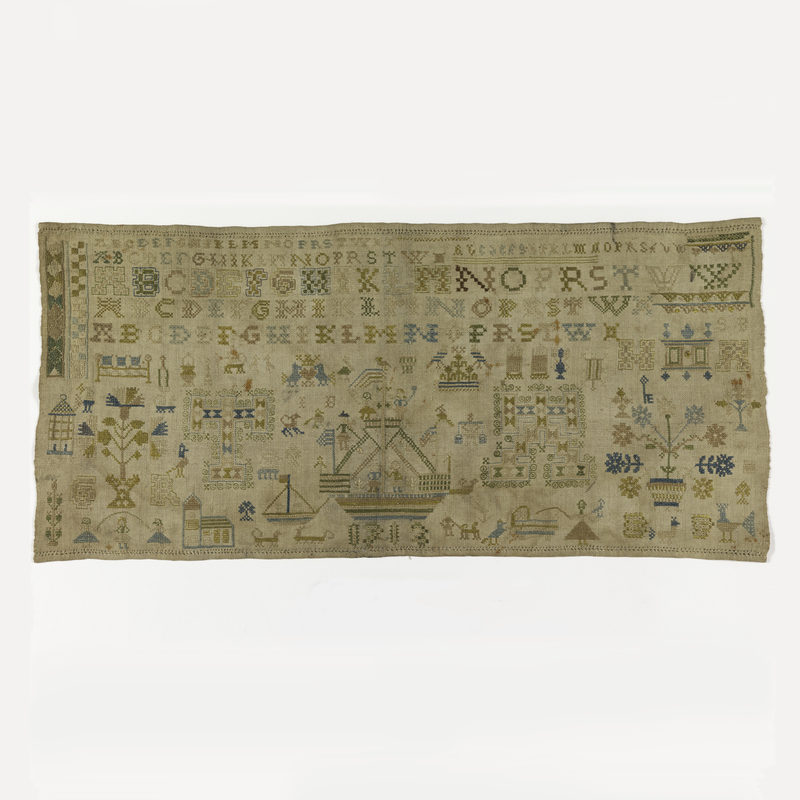 Its medium is silk embroidery on linen foundation and its technique is embroidered in cross, long-armed cross, back, satin, eyelet, chain, four-sided, and threaded gobelin stitches on plain weave foundation. It is a part of the Textiles department.